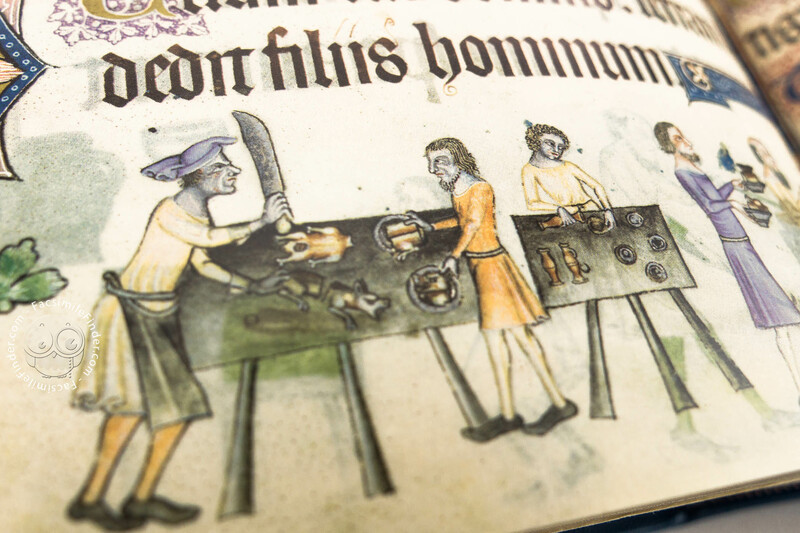 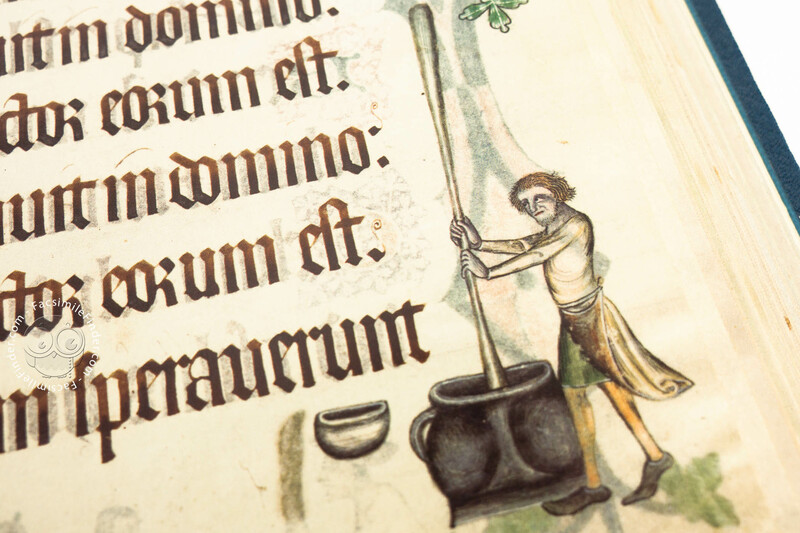 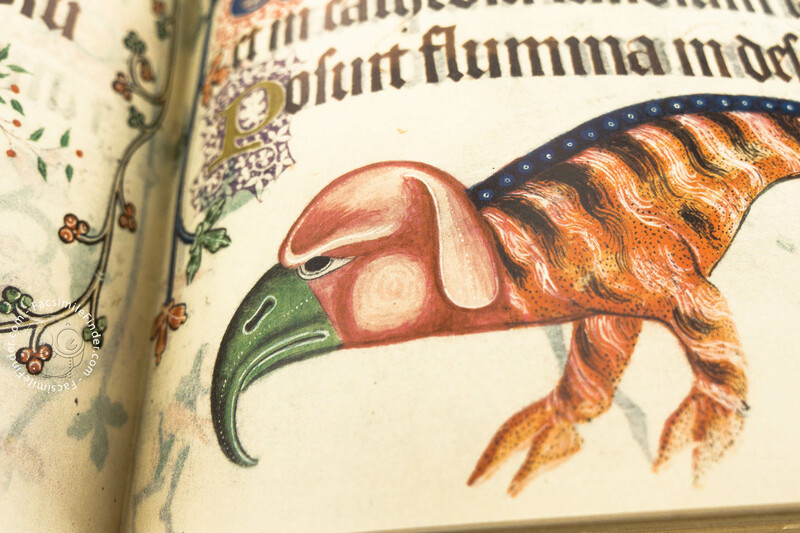 With over 600 extensively illuminated pages, the Luttrell Psalter depicts the medieval life with lively images. 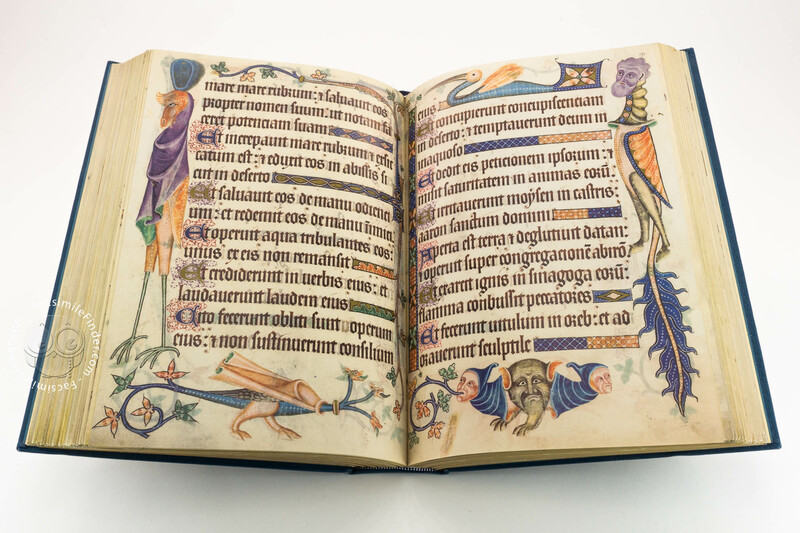 Creative, imaginative and even bizarre miniatures embellish the manuscript with bright colors, gold and silver. 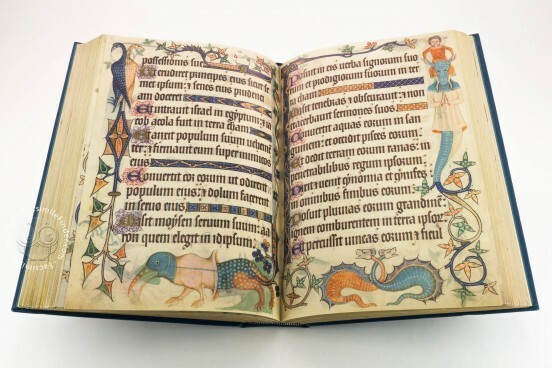 Now preserved at the British Library in London, the codex was made around the years 1320-40 in Lincolnshire and represents an exceptional example of English Gothic illumination. 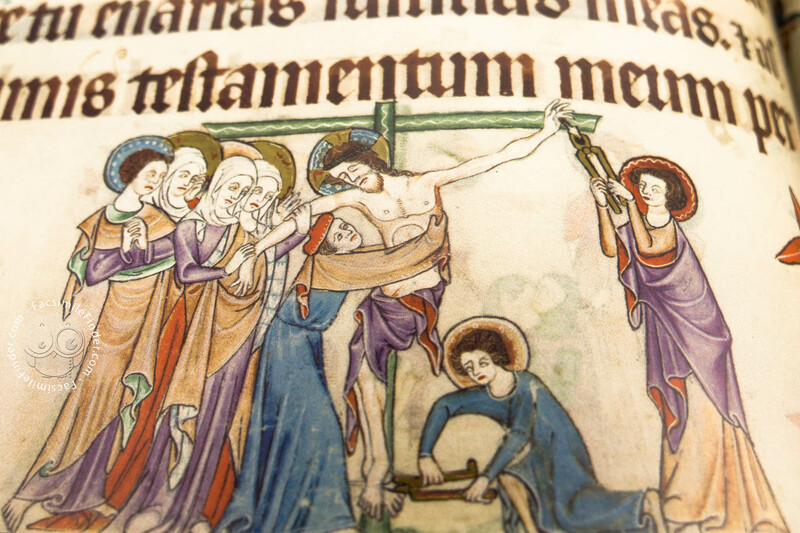 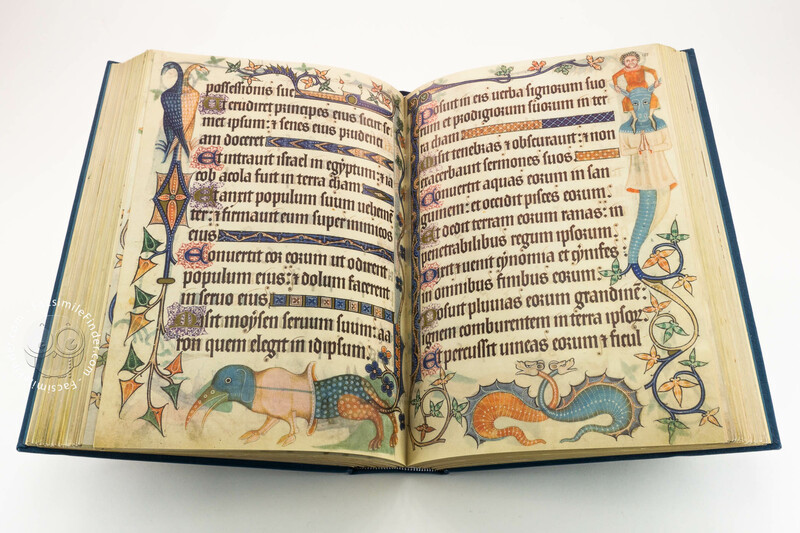 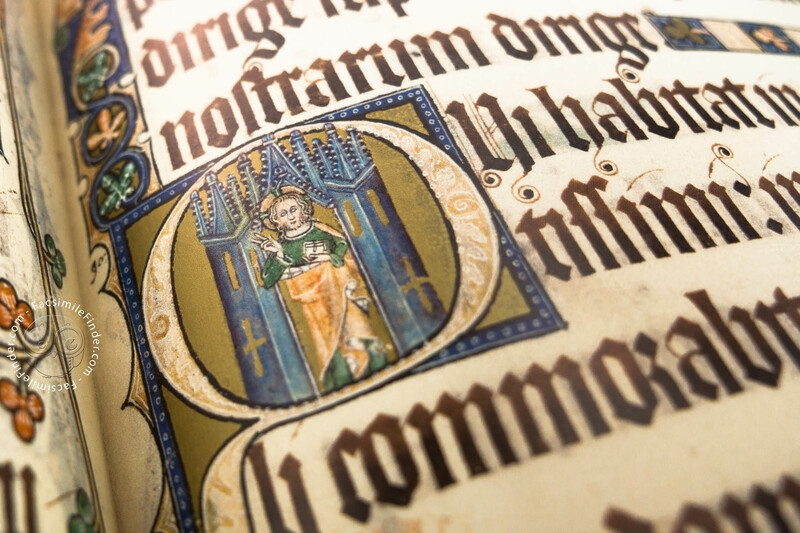 The Psalter is named after its original owner Geoffrey Luttrell (1276-1345), whose figure appears in the codex. 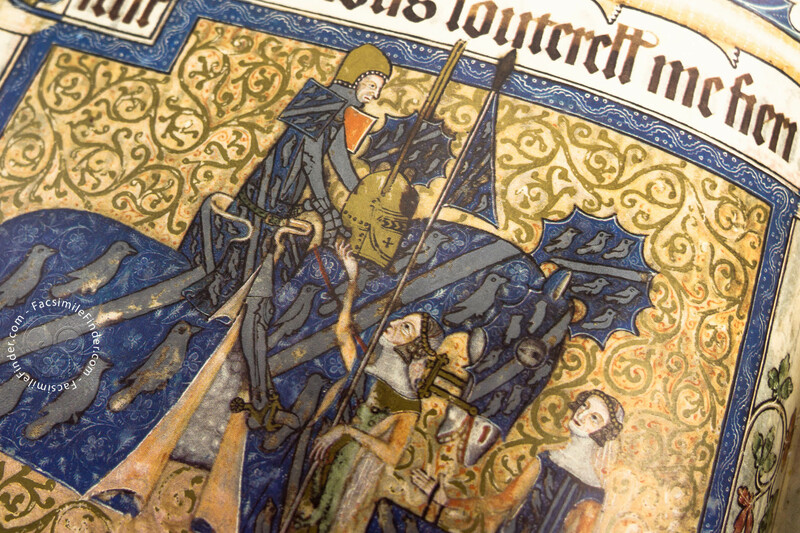 Geoffrey Luttrell was lord of Irnham, in Lincolnshire and his lands extended across England. 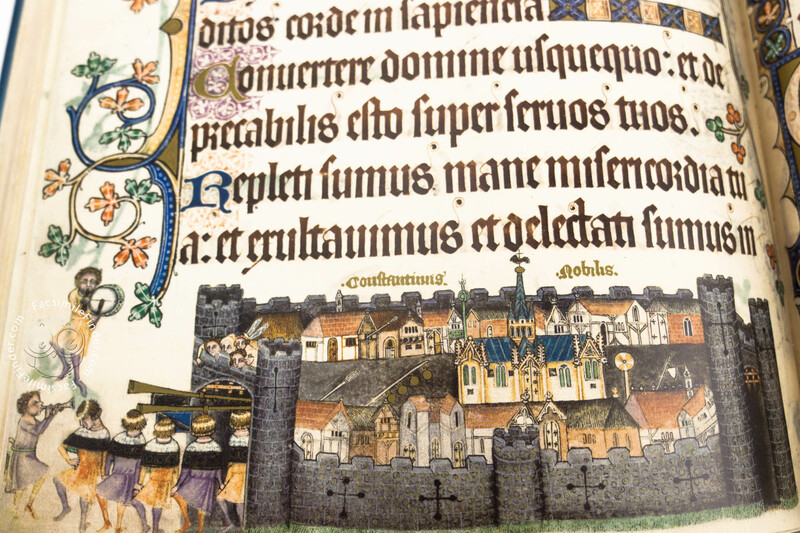 Geoffrey Luttrell inherited the lands of his ancestors who worked at the court of King John and received properties for their services. 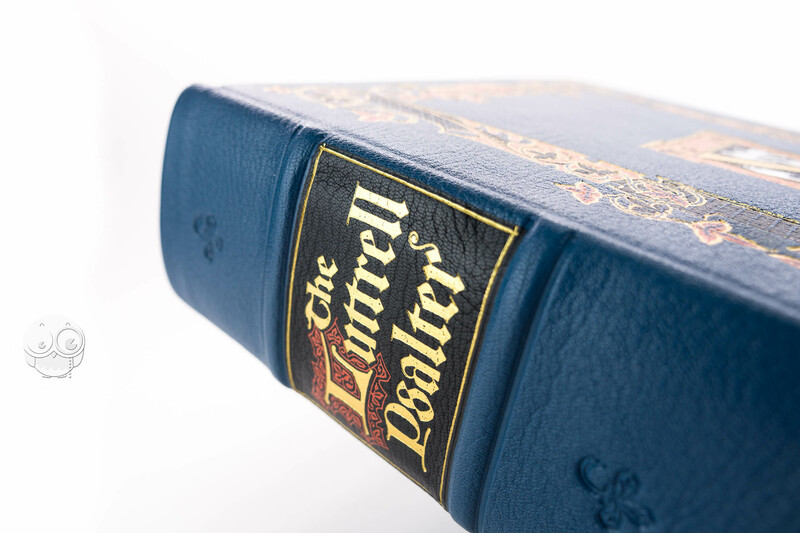 He owned estates in Yorkshire, Lincolnshire, Nottingamshire, and Leicestershire. 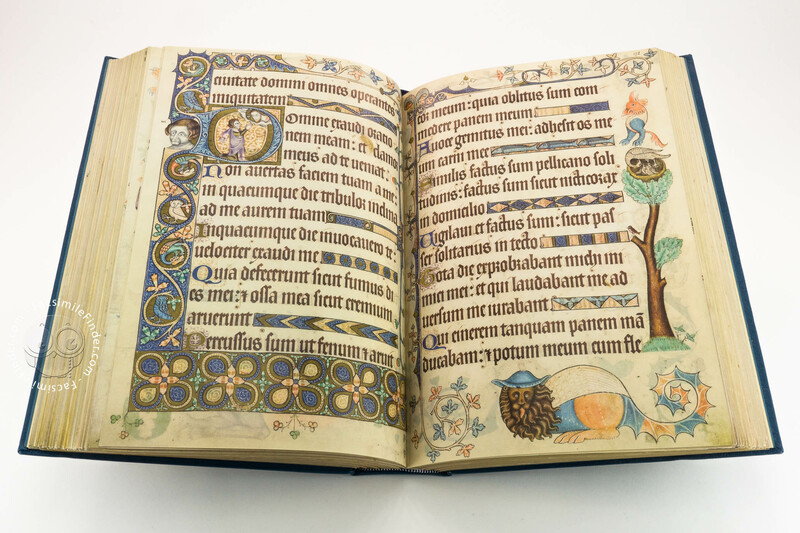 It has been suggested that the emphasis of the manuscript on natural landscapes could be connected to the lands that lord Luttrell might have often seen. 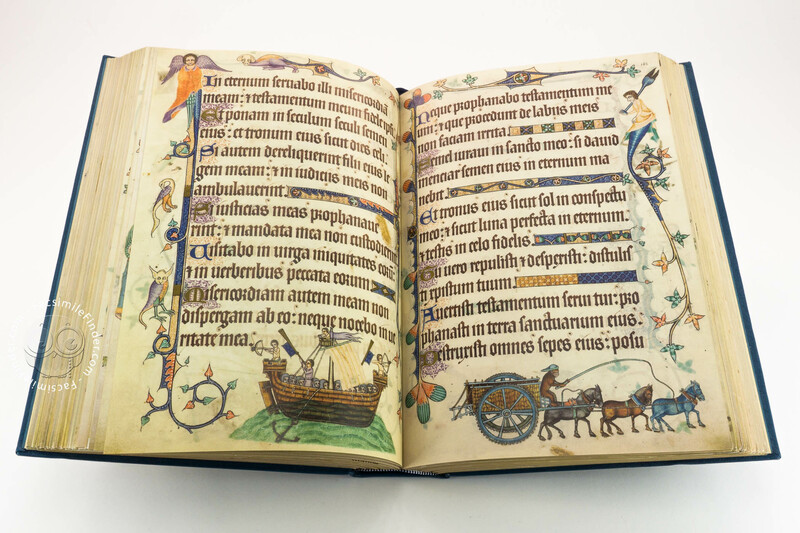 The illustrations might even celebrate actual events, like the building of a watermill that Luttrell constructed at Bridgeford. 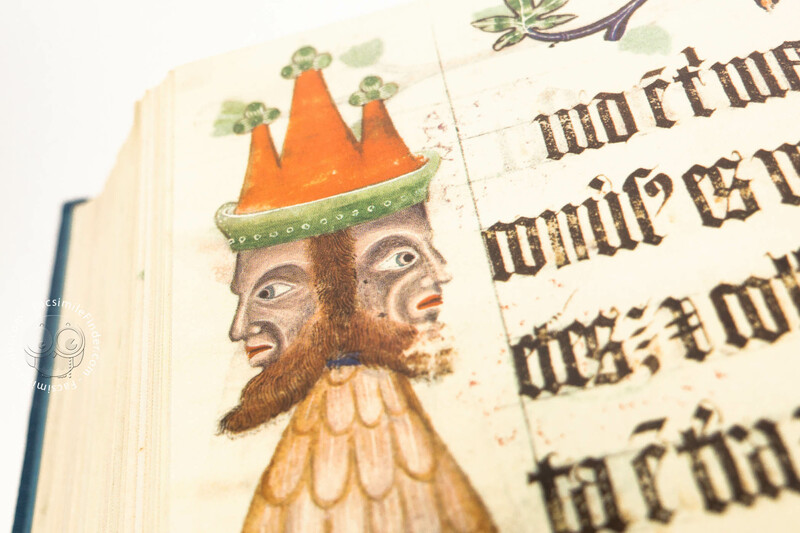 The manuscript displays portraits of fashionable nobleman probably featuring the family that owned the manuscript. 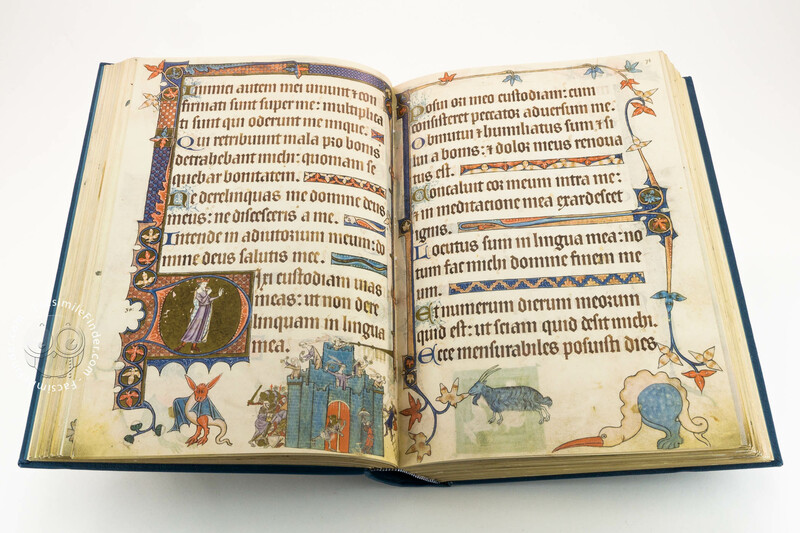 The style of the miniatures suggests that the manuscript was made between 1320 and 1340. 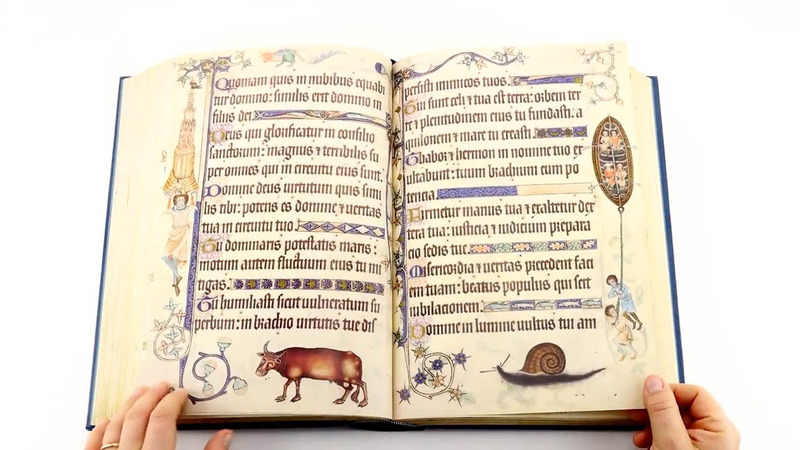 The Luttrell Psalter represents a masterpiece of English illumination, and the decoration of the codex is remarkable for the exquisitely detailed miniatures of everyday life. 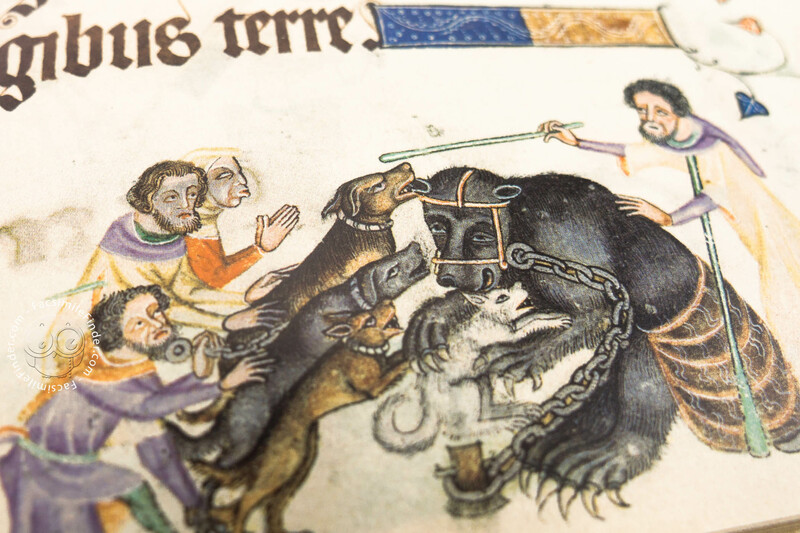 The scenes show an unparalleled sense of humor representing vivid scenes of beasts and humans engaged in a variety of activities. 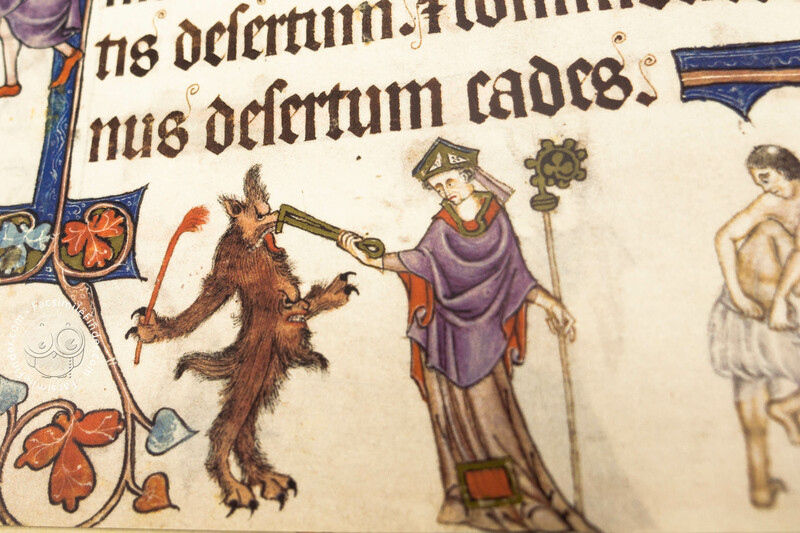 Acrobats and stilt walkers, grotesque figures, hybrids of man and beast stalk the margins. 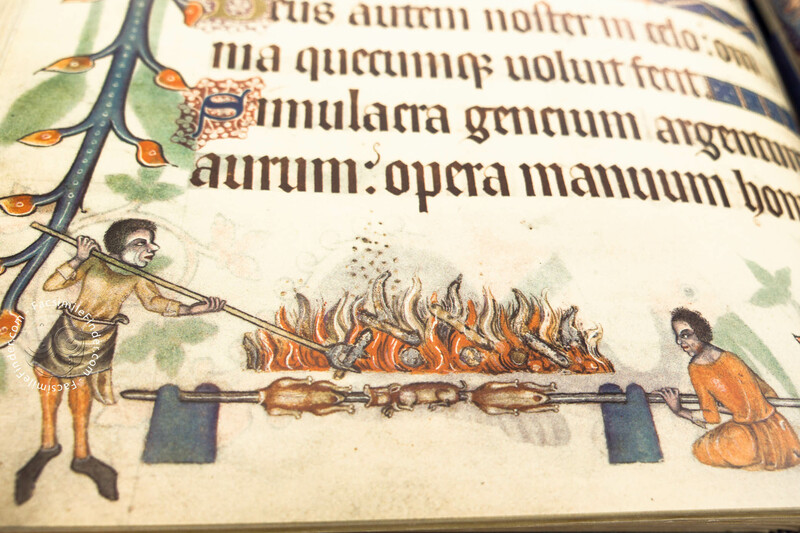 Turning the pages we see a woman who feeds chickens, men cooking and eating. 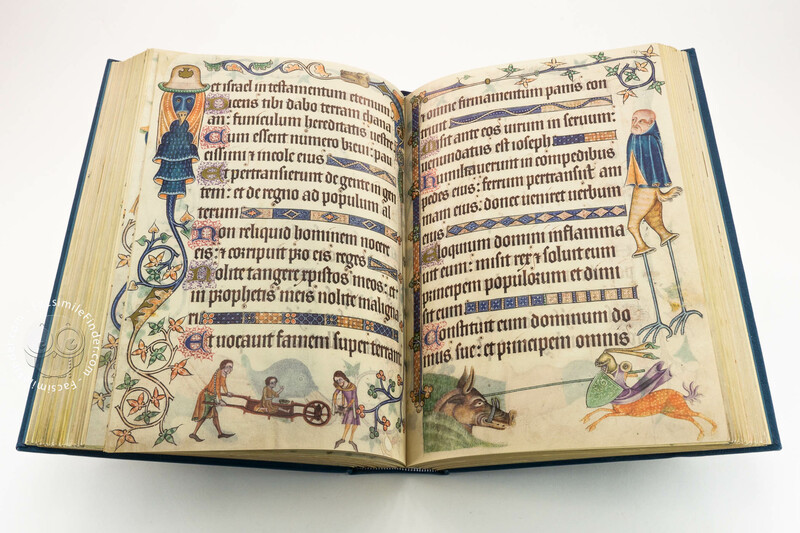 Wrestlers, bear baiters, dancers, musicians, a bishop with a dog that jumps through the hoop, a woman beating her husband with a spinning rod, and two men slinging a hammock are all scenes visible in the text of the Psalms. 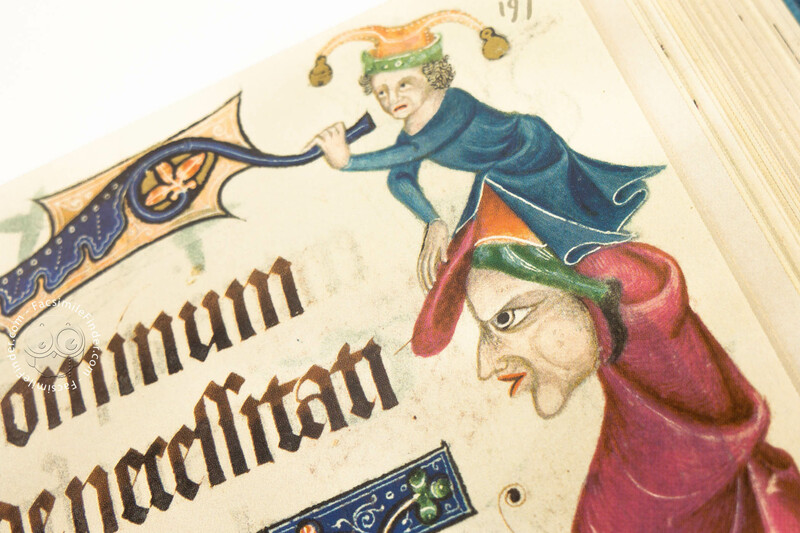 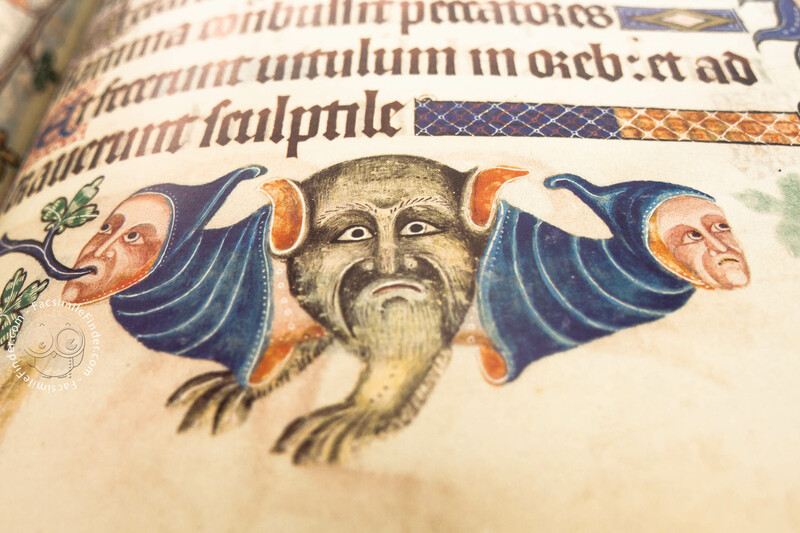 The Luttrell Psalter is exceptional for the inventiveness and number of its humorous and charming decorations. 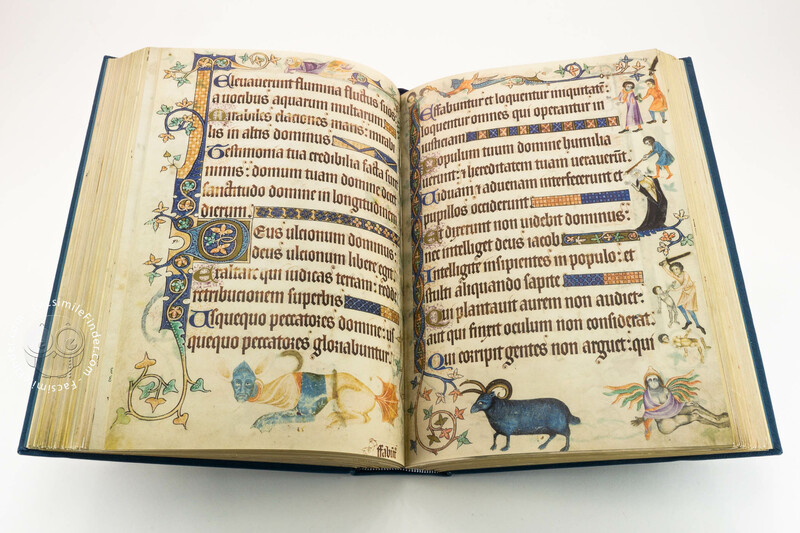 Manuscript book on parchment − 35 × 24.5 cm − 618 pp. 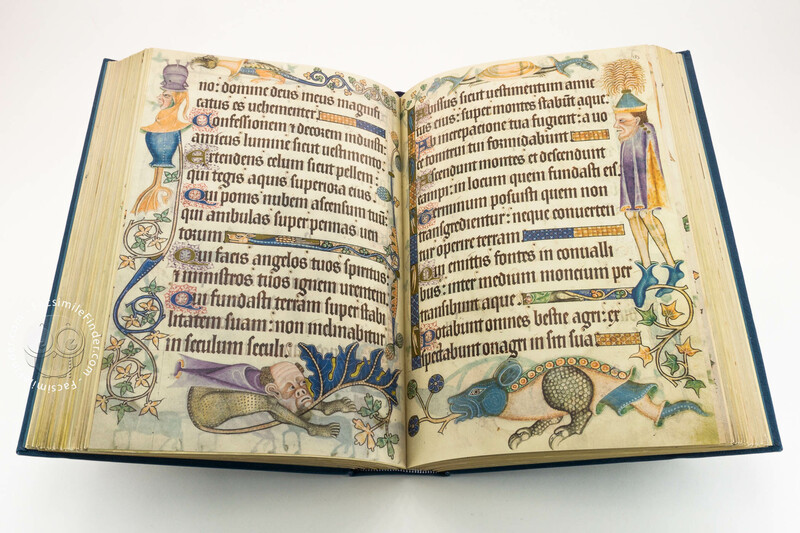 Commentary (English) by Brown, Michelle P.
Full-size color reproduction of the entire original document, Luttrell Psalter: the facsimile attempts to replicate the look-and-feel and physical features of the original document; pages are trimmed according to the original format; the binding might not be consistent with the current document binding. 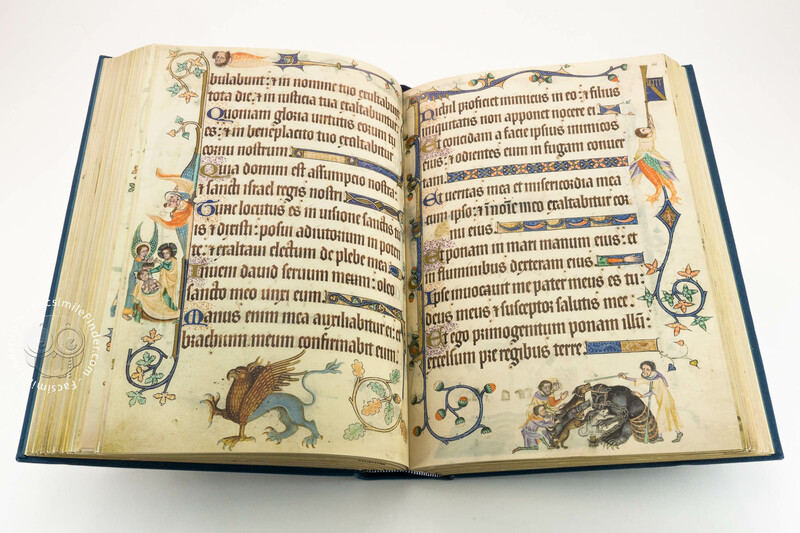 Presented in a hand-made solander box together with its commentary volume. 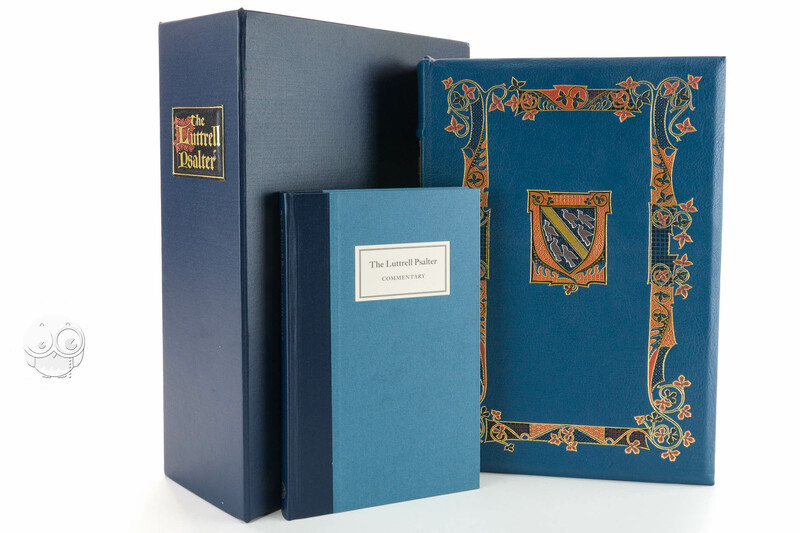 The binding by Smith Settle of Otley is in Nigerian goatskin leather blocked with a design by David Eccles using gold, silver and colored foils. 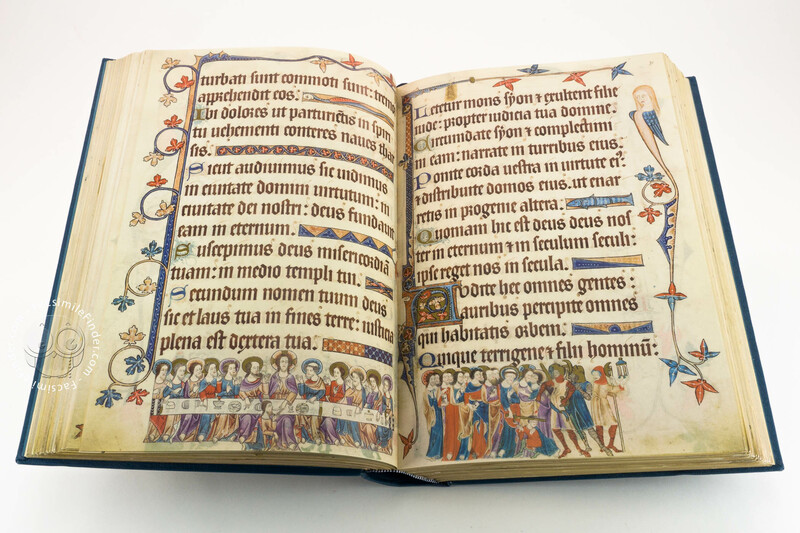 Handmade endpapers from the Fabriano mill. 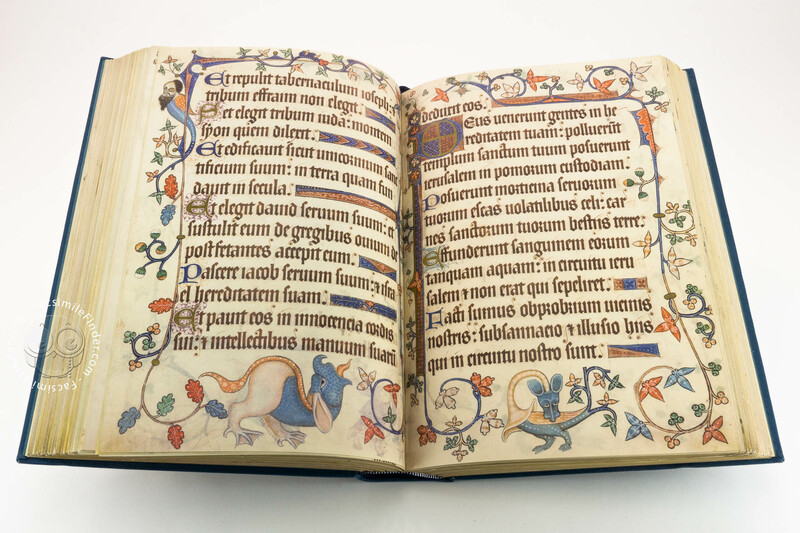 Binding design using motifs from the Psalter and the Luttrell coat of arms of six martlets argent.